At present a portrait of Miss Kawasaki is being brought to conclusion. She modelled the cotton version of the traditional kimono dress worn for formal occasions in present day Japan. The shape of this wonderful costume I felt was best demonstrated by the seated pose Manami adopted. 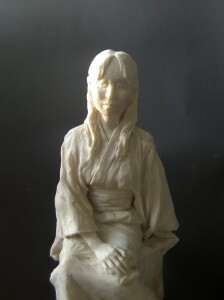 This was made in soft modelling wax. In every work of Robert I really think that to write any comment we mainly ask before to our heart because all of his marvellous living scupltures have a deep story expressed. I used, maybe uncorrectly, the meaning “living sculptures” due every single work lives into my soul after watching it. It seems really to see a soldier marching on the snow or a dancer drawning the air with her movements…. In few words…Rob, your works are simply great! 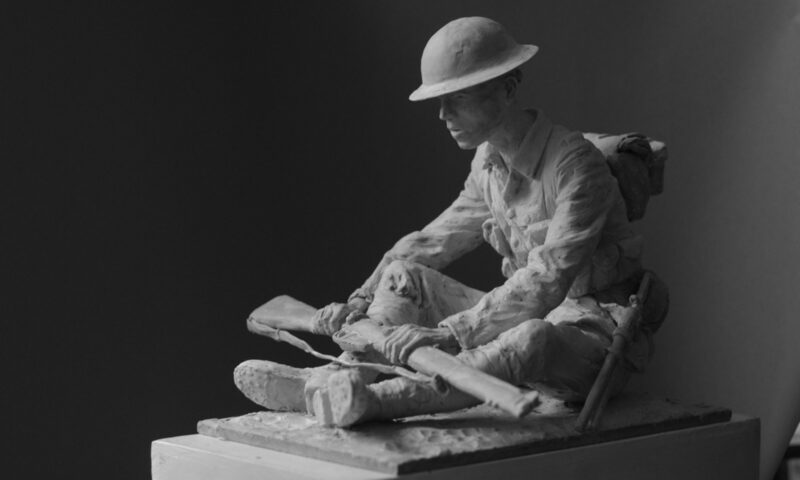 Next PostNext sculpture of prisoners of war, february 1943, russia.